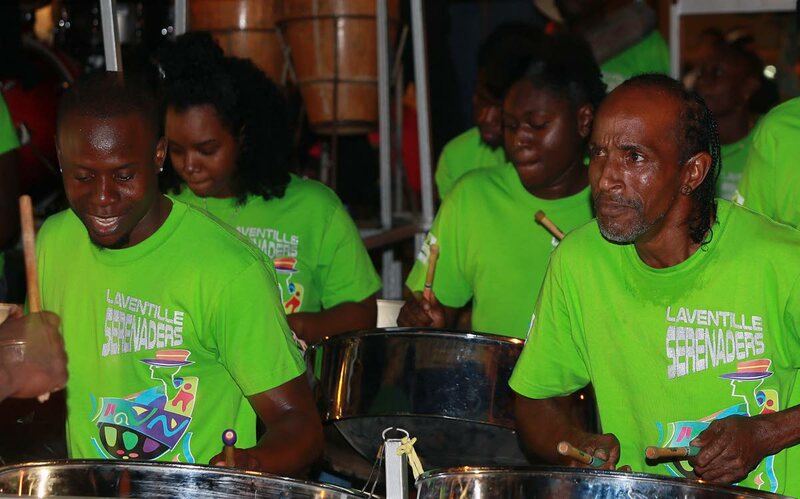 It was a tight race, but in the end Laventille Serenaders pulled out in front to top the National Panorama Small Bands semi finals held on Saturday at Victoria Square, Port of Spain. The band cast a mighty shadow with their performance of Shadow’s hit Dingolay. With an arrangement by Arddin Herbert, Laventille Serenaders displayed precision, slick transitions with lots of highs and lows, and energy to spare. By the time they were finished, the members were shouting with excitement. Serenaders scored 281 and edged out second place Arima Golden Symphony by just one point. Arima Golden Symphony, which tied for second last year with Laventille Serenaders and won in 2016, charmed the judges with their rendition of Du Du Yemi (Natasha) by the Mighty Sparrow and arranged by Terrence “BJ” Marcelle. Third place Golden Hands gave the other competitors lots of trouble with a stirring performance of Trouble arranged by Vanessa Alexander Headley. The fans showed their appreciation with a rousing round of applause and the judges rewarded them with 279 points, just one point less than Arima Golden Symphony. Defending champs La Horquetta Pan Groove had to settle for fourth with their performance of Magic Drums, arranged by Kion Robinson. With 277 points they were tied with Uptown Fascinators, a Tobago band which performed Free Up arranged by Ojay Richards. Five Tobago bands will be among the contenders for the small band crown in the finals scheduled for February 8 at Skinner Park, San Fernando. The event was not without its hiccups as some bands performed out of order, one band’s truck reportedly shut down and two attendees fainted and the announcer had to repeatedly call for an ambulance. Reply to "Laventille Serenaders leading Small Bands"